The Accumulated Z Report allows you to combine the past Z Closing Cash Reports listed in the Archived Z Reports section. Tap the tab on the left of the App screen to open the menu. Under the Reports section, select Accumulated Z Report. 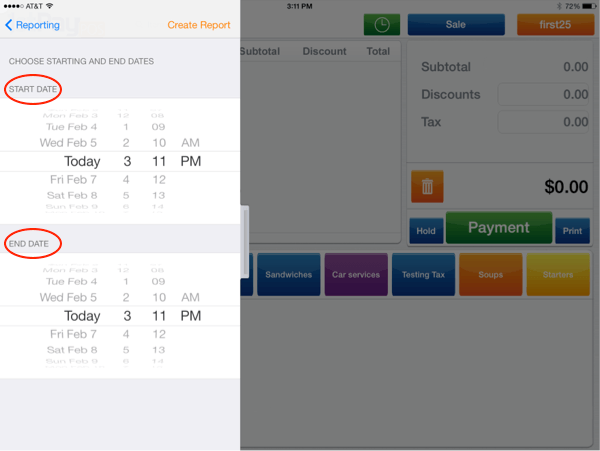 Select the date range for the reports you'd like to combine. Tap Create Report. The combined report appears. 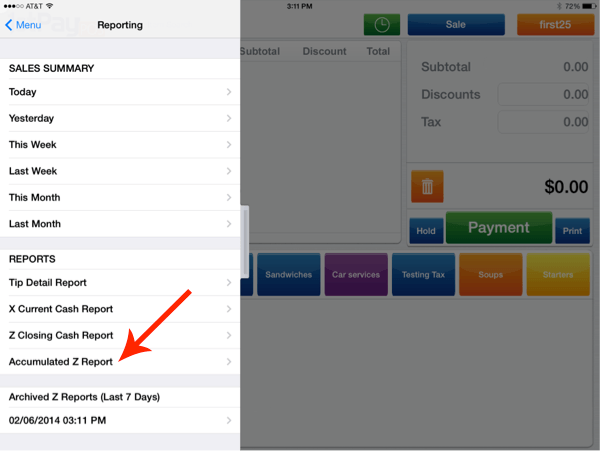 You have the ability to Print, Email or Text the report by using the buttons in the top right. When finished, tap Close at the top left. Tip: If there aren't any reports within that date range, you will get an invalid selection error.